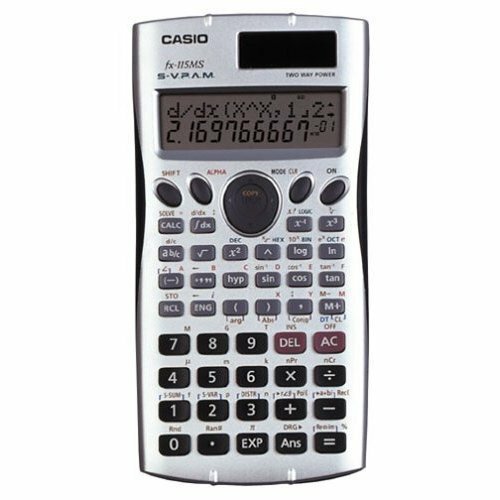 Scientific calculator now with 2-line LCD display. Solar powered with battery backup. Displays symbol indicating selected function. Visually Perfect Algebraic Method. 1 and 2 variable statistics. Boolean Logic and number bases. Preprogrammed scientific constants. Complex number calculations.